ETEC is a part of the Energy Works Post-Secondary Program. Through this program college students are brought together with high school students to provide awareness and guidance to students about green careers in Michigan. ETEC's faculty advisor Lynn Artman and students from ETEC will give in-classroom and auditorium presentations to participating high schools in the Upper Peninsula and in Metro Detroit. These presentations will feature information about how a home loses energy, how to improve energy efficiency, careers related to energy efficiency, and universities offering degree programs. These presentations will also allow the students to interact with energy auditing equipment. 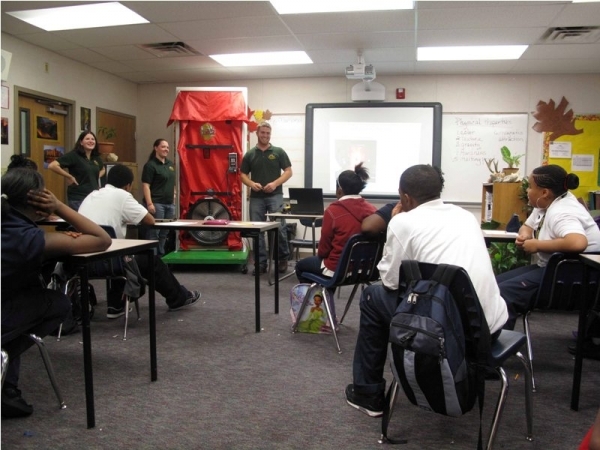 ETEC has presented at 10 Michigan highschools.